I can still feel the intense power of Thailand’s mid-day sun. It’s the kind of heat that makes a quick dip in a pool or the ocean a welcome relief, keeps the many street dogs snoozing in the shade until evening, and immediately transforms any cool beverage into a vehicle for transporting condensation from its surface into your lap. Every day in Thailand offered a new adventure, whether it was navigating busy streets by tuktuk (as passengers, of course!) exploring a market to learn about the local herbs, spices, and flavors, or trying (and failing) to have a conversation with Buddhist monks at a temple (we just couldn’t find anyone who was available to participate in the monk chat program on the day of our visit!). 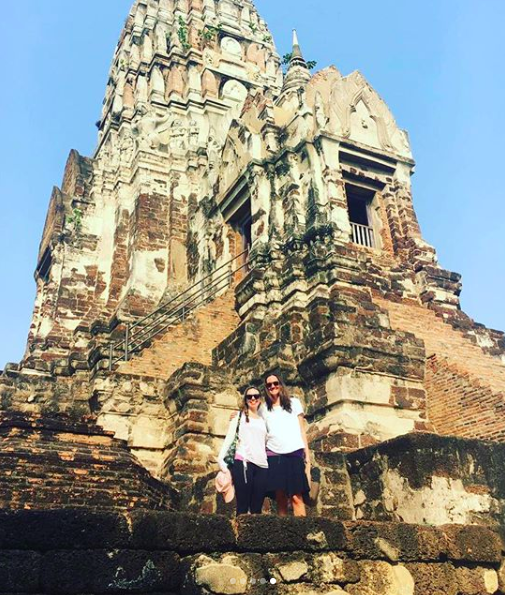 Sure, my trip to Thailand was a vacation and a time for relaxation, but it was also the opportunity to talk at length and work alongside my fellow Boss Lady and owner of Simply Stated Media, Raubi Perilli. In fact, this is not the first far-flung trip I’ve taken because of another inspiring female entrepreneur. 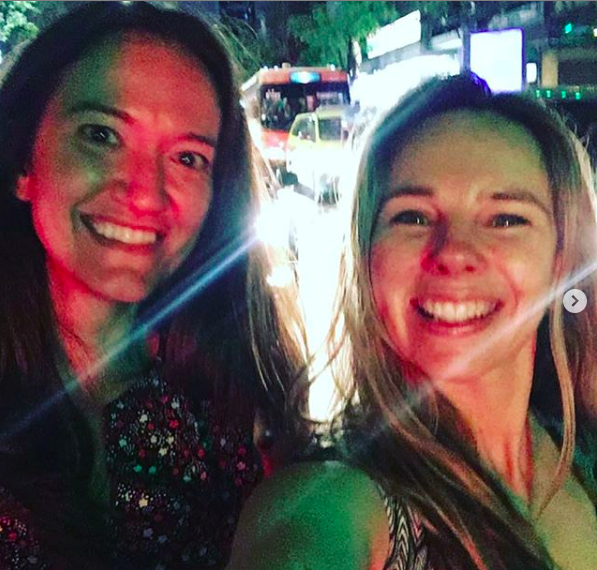 Last year, I went to Buenos Aires, where I got to catch up with Sonia Thompson. Ever since I’d met Sonia years earlier, she’d been singing the praises of her adopted city. It had long been a dream of mine to visit, and having a friend there made it so much easier to plan the trip and make it happen. Finally experiencing Buenos Aires firsthand was a dream come true. We wandered around the Sunday flea market in San Telmo until the sun went down and the tango party began. We found every restaurant in Palermo that offered both gluten-free and vegetarian fare. And as we walked through tree-lined streets and soaked up the end of the Argentine summer, we shared strategies for running a freelance business from all corners of the globe. What’s truly amazing to me about the moments I’ve just shared is that they’re all possible because of a little group we call the Boss Lady Mastermind. Here’s how it works: We meet every other week (virtually since we’re all calling in from different places) for an hour to discuss what’s going on with our businesses and our work. 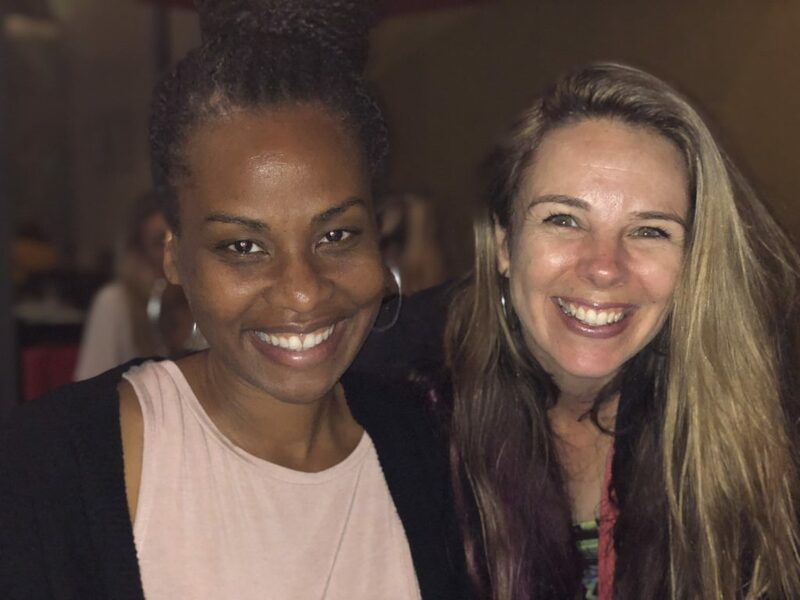 We share our triumphs and struggles, bounce ideas off each other, and occasionally encourage each other to travel across the globe to meet up in person! When we first started, we were a bit more structured about spending equal amounts of time providing updates and then giving one person “the floor” for the majority of the call, but it has evolved over time and now we tend to have equal talking time, unless one of us has a big update or needs extra advice. The endurance of our circle is proof that networking really can work if you take the time to tend to those relationships. 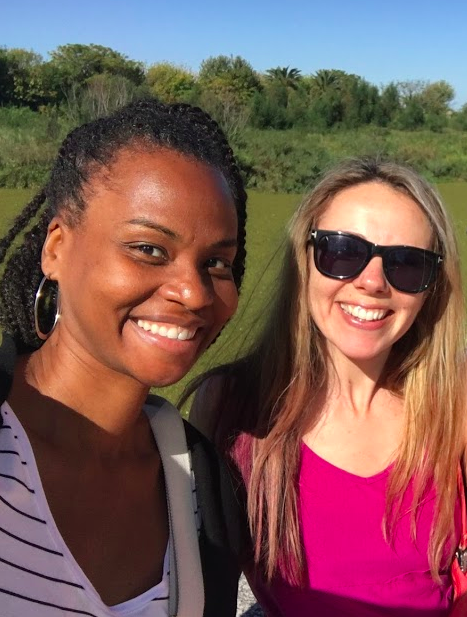 One of the things I love about the Boss Ladies (besides the fact that they’re excellent travel companions) is the fact that we actually met at an industry conference. The endurance of our circle is proof that networking really can work if you take the time to tend to those relationships. Sonia and I met the first year of Copyblogger’s Authority Intensive Conference in 2014, and we met our other two members, Raubi and Erin, the following year at Authority Rainmaker. The next year, at the Digital Commerce Summit, we ended up forming a little core group, joining each other for meals and post-conference drinks. At the closing party, Raubi suggested that we put together the mastermind group. Somehow we became the Boss Ladies. And the rest is history! If you’re thinking you might like to put together your own mastermind, here are a few tips that might come in handy. 4 seems to be the ideal number of participants. We get enough different opinions and experiences to keep things interesting, but it’s still a manageable number for scheduling and allowing everyone speaking time. It helps to have some common ground but also some differences. We’re all content marketers in some shape or form, but we also bring different skills, knowledge, and backgrounds to the table. Create a recurring calendar invite. Rather than try to find a different date and time that works every other week, we found a time that works for all of us, most of the time. If someone can’t make it that week, no sweat. She’ll catch us up the next time around. Be open to meeting in person and going on adventures together! The first time Raubi suggested an in-person get-together in Tampa, I’m not going to lie—I was a little nervous! We’d only met in person twice, and here she was inviting me to her house?! But spending time together solidified our friendship and paved the way for our Thailand adventure (and hopefully other future ones). When we meet in person, we strengthen our bonds and have conversations that are more open than our regularly scheduled meetings. We can explore different business ideas and dream big! I’m looking forward to many more years—and many more adventures—with my fellow Boss Ladies! Have any tips of your own for building community and getting support? If so, I’d love to hear them!